Robert Fontaine, originally uploaded by johnwmacdonald. You've heard him on CBC Radio One. You've read his book, "Movies Ate My Brain". 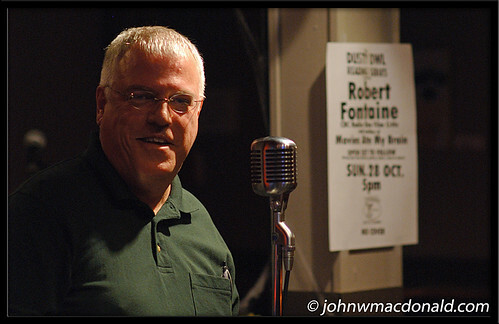 You've had the chance to meet him in public...he's *the* Robert Fontaine, of course.